Former Congressman Steve Stockman, a Tea Party stalwart who represented East Texas during two non-consecutive terms, was sentenced to 10 years in federal prison on Wednesday for his role in a wide-ranging scheme that included a spy operation aimed a fellow Republican challenger and $1.25 million in campaign funds pilfered from conservative megadonors. Stockman, 61, of Clear Lake, said nothing in court after Chief U.S. Judge Lee H. Rosenthal sentenced the former beltway firebrand who in April was convicted by a jury on 23 felony counts stemming from unlawful use of charitable donations. Stockman, who was wearing an orange jail uniform and beige rubber clogs and was chained at the ankles, faced the potential of more than 20 years on each of seven mail and wire fraud charges, as well as 10 years on each of 11 money laundering counts, five years apiece on two counts of making false statements, plus five years for making coordinated campaign contributions and up to three years for filing a false tax return. His new defense lawyer, Marlo Cadeddu, asked for a 13-month sentence, which she said was average for a corruption case. She said her sentencing took into account that he sneaked around and had people go through trash of his perceived opponent, that he cheated taxpayers and tried to cover up his acts and continued to seek the political spotlight. In addition to the 10-year federal jail term, Stockman faces three years of supervised release. He was also ordered t pay $1.014 million in restitution. See here for some background, or just search the archives for “Stockman”. Sorry, but I’m fresh out of sympathy for grifters. He got what was coming to him. Jason Posey and Thomas Dodd, who pled out and testified against their former boss, will be sentenced on December 12. The Trib has more. Two members of Congress from Texas — Republican U.S. Reps. Mike Conaway of Midland and John Culberson of Houston — purchased stock in a company last year that is now at the center of insider trading charges against one of their colleagues, U.S. Rep. Chris Collins, R-New York. Collins, best known as the first congressman to back Donald Trump’s 2016 presidential bid, was indicted Wednesday by federal prosecutors and charged with securities fraud, wire fraud and making false statements to the FBI. The indictment stems from his involvement in an Australian biotech firm called Innate Immunotherapeutics, and it alleges he passed non-public information about the company to his son, Cameron, who then used it to purchase stock and tip off others. Conaway and Culberson are not named in the indictment and face no allegations of wrongdoing. But they were among several of Collins’ colleagues who purchased shares of Innate last year and faced some scrutiny for it, especially after reports surfaced that Collins was seeking to convince them and other associates to invest. Collins, who has denied any wrongdoing, was already being investigated by the House Ethics Committee before the indictment was unveiled Wednesday. Both Conaway and Culberson bought stock in Innate on Jan. 26, 2017, worth between $1,001 and $15,000, according to personal financial statements filed with the House clerk. Their purchases came two days after a contentious confirmation hearing for U.S. Rep. Tom Price, R-Georgia, then Trump’s nominee for secretary of health and human services, during which he was questioned over his own investment in Innate. Conaway purchased more of the stock on Feb. 3, 2017, again valued at between $1,001 and $15,000. Culberson sold his stock on June 12, 2017 — 10 days before Chris Collins is accused of sharing the non-public information with his son. Conaway, meanwhile, dumped all his shares in November 2017, according to a spokesperson for his office. See here for some background. In a different year, with a less-hostile political environment and a non-threatening opponent, Culberson could easily shrug this off. This year, not so much. Even if you yourself are not being accused of wrongdoing, the close association with a colleague who just got busted on federal charges and a Trump administration official who resigned amid a cascade of ethical scandals is not a good look. Good luck coming up with a satisfactory explanation for it all. The Chron has more on the Culberson angle, and for more on the Chris Collins arrest see Daily Kos, Mother Jones, ThinkProgress, and Political Animal. Standing before a federal judge in a San Antonio courtroom on Tuesday afternoon, former state Sen. Carlos Uresti was contrite. “I truly feel remorseful, ashamed, disappointed, disgraced, angry at myself and sad,” Uresti told the court, according to the San Antonio Express-News. But shortly after, speaking to reporters outside the courthouse about his plans to appeal a 12-year federal prison sentence he said he does not “believe is fair and just,” the two-decade veteran of the Texas Legislature seemed anything but remorseful. The sentence he received Tuesday — and the $6.3 million in restitution he’s been ordered to pay to victims of a Ponzi scheme he was convicted of helping carry out — is “just another obstacle,” Uresti said. See here for the background. He still has a second federal trial to undergo in October, so this is not as bad as it may get. I wonder if there was a dawning realization that a multi-year sentence was likely, and that this was what finally got him to resign, four months after his conviction. Whatever the case, and acknowledging that he did do some good things as a Senator, I’m glad he finally stepped down. As to what happens from here, I can’t say I have any feelings about it. The whole affair was sad, but Carlos Uresti is a grown man who made his own choices. He can live with the consequences of those choices. Former U.S. Congressman Steve Stockman — a political maverick once viewed as a champion of right-wing causes — was taken into federal custody Thursday after a jury convicted him of masterminding a wide-ranging fraud scheme that diverted $1.25 million in charitable donations from wealthy conservative philanthropists to cover personal expenses and campaign debts. After deliberating more than 15 hours over three days, the jury found Stockman guilty on 23 counts of mail and wire fraud, conspiracy, making false statements to the Federal Elections Commission and money laundering. The jury found him not guilty on one count of wire fraud. Stockman, 61, of Clear Lake, who served two non-consecutive terms as a Republican congressman in separate southeast Texas districts, showed no reaction to the jury’s verdict. His wife, Patti, watched from the courtroom gallery, as did U.S. Attorney Ryan Patrick. Chief U.S. District Judge Lee H. Rosenthal ruled that Stockman was a flight risk and she ordered him taken into custody by U.S. marshals. Stockman faces a maximum of 20 years in prison on each of the fraud charges alone. Sentencing is set for Aug. 17. That’s all I’ve got for now. The Trib and RG Ratcliffe, who recalls some of Stockman’s greatest hits, have more. The defense team for former U.S. Congressman Steve Stockman told jurors Monday the ex- GOP lawmaker did not plot a massive fraud scheme, but said the government should have targeted two wealthy conservative donors for making illegal campaign contributions disguised as charitable gifts. “The true motives of his donors … was to fund Stockman, his political activities and his projects without being restricted,” said attorney Charles Flood, referring to $1.25 million in tax deductible donations Stockman is accused of diverting to pay off personal and campaign costs. Flood and two other defense lawyers — who are being compensated by an anonymous Stockman friend — argued that while the two-time Republican lawmaker spent some of the seed money he solicited on an array of unrelated expenses, he did not deliberately trick the donors into giving him money nor attempt to cover his tracks after the money was gone. See here for the last update. So Stockman isn’t guilty of money laundering, just of participating in a scheme to evade campaign finance law. Unwittingly, I guess – we all know how naive he is. I got nothing. Let’s just keep going. In closing, prosecution stressed there was no evidence to prove the defense claims that these donors meant to break the law when they made donations to what they believed were genuine charities. In all, prosecutors questioned dozens of witnesses over three weeks of testimony — including an IRS investigator, a forensic accountant for the FBI and Stockman’s own accountant — to back their theory that between 2010 and 2014 Stockman systematically planned to use the donations money however he wanted and then lied to cover it up. Assistant U.S. Attorney Ryan Ellersick walked the jury through a series of transactions, pointing out that Stockman, a trained accountant whom a former assistant described as a “micromanger,” stated in his own words in emails, texts and letters that he knew exactly what he was doing. Ellersick quoted Stockman’s letter to a doubtful government minister in South Sudan, who was questioning a humanitarian donation that included a percentage fee for the former congressman. Stockman stated in the letter, “My experience is vast … I know what I am doing,” and assured the official that while some people might be untrustworthy, his reputation was impeccable. “Leopards don’t change their spots,” Stockman wrote. 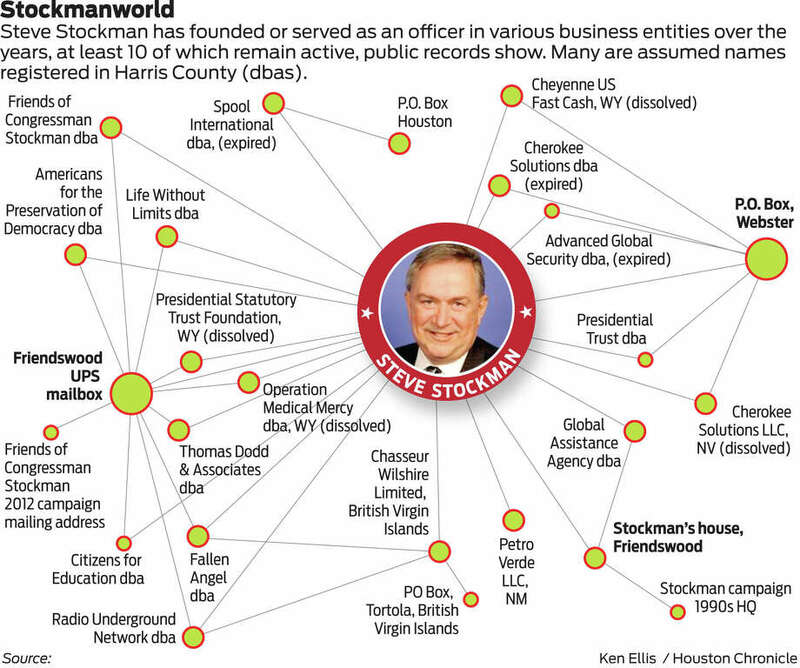 As someone who has followed Steve Stockman’s career for nearly a quarter-century, I do agree with that. I’m on ping and needles till a verdict comes in. The Trib has more. A fundraising director who quit and returned most of his salary after four days as an employee of ex-U.S. Congressman Steve Stockman characterized the work environment as “horrific” for Washington, D.C., interns, according to his testimony in the second week of the former Republican lawmaker’s fraud trial in a Houston federal court. A crew of volunteer interns worked in a cramped office making as many as 2,000 fundraising calls all day — at a lobbying firm rather than the congressman’s office — and had to hustle to find their own summer lodging, according to Sean McMahon, the short-lived fundraising director. Among more than a dozen witnesses Monday was Stockman’s former secretary on Capitol Hill, Kristine Nichols. She said before she started at his office the congressman said she had to take a mandatory ethics course. Everyone did. Nichols testified she asked Stockman, who had been a friend before she was hired, whether he took the course, too. “He said he wasn’t planning to go because then they might hold him to the rules,” she said. Ouch. See here and here for earlier updates. I’m not sure what this was intended to establish other than the fact that nobody seems to like Steve Stockman, but I’m here for it anyway. There was some more testimony about his attempt to “sting” State Rep. James White as well. Former U.S. Congressman Steve Stockman recruited top officials from the Egyptian defense ministry to help solicit a $30 million donation from an international cement company facing legal trouble, according to testimony in the second week of the GOP lawmaker’s federal corruption trial. Stockman claimed the funds would go toward educating Americans about the historic importance of Egypt and the Middle East, or perhaps toward shipping medical supplies to Egypt and Africa, a witness testified Tuesday. The hefty donation from CEMEX, an international cement company founded in Mexico, apparently never materialized. But prosecutors say the aide who helped arrange Stockman’s trip to Egypt to meet with officials was paid with money from another donation Stockman solicited for another of his pet causes. He had told an investor he wanted to establish Freedom House, a facility for conservative Capitol Hill interns in Washington, D.C. But Stockman’s defense team contends that testimony about the Egypt trip and about donation money Stockman funneled into a surveillance project tracking a presumed political opponent at the state capitol amount to meritless theatrics aimed at swaying the jury. “It’s a time-consuming effort to make Mr. Stockman look like he’s involved in a bunch of shady stuff, none of which is charged in the indictment,” said attorney Sean Buckley. If your defense is that the prosecution is spending too much time on shady stuff your client did that he wasn’t charged with, I’m thinking you have a tough road ahead. All this and the two Stockman aides who took pleas still haven’t testified. I mean, with Steve Stockman you have to expect some weird crap, but I didn’t see this coming. The American Phoenix Foundation — a now-defunct conservative activist groupknown for attempting undercover stings of lawmakers and lobbyists — planted an intern in a Texas state lawmaker’s office during the 2013 legislative session in an effort to expose misdeeds, testimony in federal court revealed Thursday. Shaughn Adeleye, testifying in Houston in the federal fraud case against former U.S. Rep. Steve Stockman, said in court Thursday that he was planted in the office of state Rep. James White to obtain footage of the Hillister Republican engaged in “fraud and abuse” and also in more mundane activities like cursing or failing to tidy his messy car, according to Quorum Report. Stockman funded that effort in an attempt to uncover “salacious” gossip about a perceived political rival, according to testimony Thursday, the Houston Chronicle reported. The former congressman stands accused of illegally using charitable donations to cover political and personal expenses, among a total of 28 criminal charges. Stockman was concerned that White would give up his state House seat to challenge him for Congress. “Republicans love black conservatives. I’m worried,” Stockman fretted in a text to a political ally, according to testimony Thursday. Adeleye told prosecutors Thursday that he accepted the undercover job because he was told he’d be ferreting out corruption, but it ultimately became clear his supervisors were hoping for embarrassing material about White, who is the only black Republican in the Legislature. He was told “a good video of [White] saying anything crazy would be ideal,” according to an email shown in court. “These were just such odd requests,” Adeleye said Thursday. The American Phoenix Foundation filmed Texas lobbyists and lawmakers back in 2015, and the group’s membership has ties to James O’Keefe, a conservative political activist infamous for his shady tactics. See here for yesterday’s update. I recall State Rep. White’s name being bounced around as a possible CD36 candidate for a hot second or two, but it never gained any traction, in part because he wasn’t interested and in part because Stockman went off on his quest to unseat Sen. John Cornyn in that primary. Given that Stockman basically cruised to a win in the crowded 2012 race for CD36 on the strength of his residual name ID and that James White was a two-term State Rep who I’d venture to guess was widely unknown, this hair-brained scheme to discredit him – which among other things would surely have done wonders for Rep. White’s name ID – shows an impressive level of paranoia, even for the likes of Stockman. The scheme itself makes Jerry Lundegaard and Carl Showalter look like super geniuses, and I am here for it. This trial has more than lived up to my expectations, and the defense hasn’t even begun to present its case. The Chron – check the URL for that story, it’s pure gold – has more. Former U.S. Congressman Steve Stockman stood before a federal judge in a mostly empty Houston courtroom Friday and confirmed he wants a jury to decide if he diverted nearly $1.25 million in charitable donations intended for conservative organizations. Stockman, whose trial is now set for March 19, has been free on $25,000 unsecured bond. The judge made a point to insist that he be present in court for the entire proceeding. He assured her he would. Defense attorney Sean Buckley said his client is confident and he’s ready to address and refute the allegations. “As they always say, there are two sides to every story and there are most certainly two sides to this one,” Buckley said. Buckley said he plans to argue that the two aides pleaded guilty to better their own situations, not because they or Stockman are guilty or did anything wrong. See here for some background. The aides in question are Jason Posey and Thomas Dodd, both of whom have already taken pleas. Stockman’s trial was supposed to have started in January, after having been delayed from June of last year. This time it looks like it may finally get going. I can’t wait. A longtime confidant and aide to former U.S. Rep. Steve Stockman pleaded guilty to Wednesday to fraud charges in a corruption scheme that also targeted the former congressman. The alleged scheme involved diverting hundreds of thousands of dollars — meant as contributions from conservative foundations — to fund political campaigns and cover personal expenses. Jason T. Posey, a former campaign treasurer for Stockman, pleaded guilty before Chief U.S. District Judge Lee Rosenthal to one count each of wire fraud, mail fraud and money laundering. The government will presumably dismiss nearly a dozen additional charges and seek a reduced sentence if Posey agrees to cooperate with the government at Stockman’s trial. He faces up to 45 years in federal prison and a fine of more than $4.8 million plus hundred of thousands of dollars in restitution, Rosenthal said. She set sentencing for Mar. 29. “My guy was a player, but he’s not the only player involved,” said Posey’s lawyer Phil Hilder. He accepted responsibility for his misdeeds and is prepared to cooperate, Hilder said. [Stockman defense attorney Sean] Buckley said this week he believes that Posey and Dodd operated outside of Washington, D.C., on various political and non-profit projects that Stockman knew little about. The defense attorney contends his client trusted the pair to use contributions they received for the proper purposes. “I will say that the evidence will show that Steve Stockman did not defraud any donors. He spent the funds in a way that he thought were in furthered the donors’ intentions. To the extent that (funds were diverted) he was either unaware of it or he misunderstood it,” Buckley said. Stockman has said told the court he is innocent and a victim of a deep state conspiracy. Buckley said he expects Posey to provide information against his former boss and mentor. Dodd has already pleaded guilty to two related conspiracy charges and has agreed to cooperate with prosecutors. See here for a good overview of this saga. Jason Posey returned to the US from abroad back in May, and I presume has been talking to the feds for some time. Another former Stockman aide, Thomas Dodd, pleaded guilty in March to two related conspiracy charges and has already agreed to testify. The trial, originally set for September, will begin January 29. Get your popcorn ready, this is going to be amazing. “Karun Sreerama has accomplished much in Houston as a businessman and involved citizen. I am sure he will continue to be an asset to our community. However he and I have agreed that it would be best for the city for him to step down as director of the city Public Works and Engineering Department. See here and here for the background. This followed in the wake of a Chron story that gave a lot more detail. According to a transcript released Thursday in the case against Oliver, Sreerama allegedly paid the HCC trustee about $12,000 in cash and Visa gift cards between June 2015 and February 2016 in exchange for Oliver’s influence over HCC contracts. Oliver pleaded guilty to bribery in connection with accepting the more recent payments totaling $12,000, court records show, and in exchange the acting U.S. attorney agreed to dismiss the separate extortion charge tied to Sreerama’s earlier payments totaling $77,143. Sreerama’s attorney Chip Lewis said federal authorities directed Sreerama to pay Oliver the $12,000 in 2015 and 2016 after confronting Sreerama about his earlier, independent payments to the trustee. Sreerama, identified as “K.S.” in Oliver’s indictment and re-arraignment transcript, wrote three checks to Oliver between late 2010 and mid-2013 in response to the trustee’s solicitations, Lewis said. As Lewis described the payments, the first two were made because Oliver claimed he was going through a costly divorce, and then claimed he needed funds to complete the process of adopting a child. Both payments were presented as loans and were not repaid. The third payment took the form of an exorbitant fee Oliver charged after his company cleaned the parking lot at Sreerama’s business. “By the time we get to the third payment and he hadn’t been repaid the loans, Karun became worried that saying, ‘No, no I’ve got somebody who already does the cleaning, etc.’ could adversely affect his position down the road,” Lewis said. Federal authorities confronted Sreerama in March 2015, a year and a half after he made that final payment, and asked for his cooperation in their investigation, Lewis said. Two months later – at the FBI’s behest, Lewis said – Sreerama began a series of meetings with Oliver that lasted through May 2016. The FBI declined to comment to the Chron, so we just have attorney Lewis’ word for all of this, which is also the reason why Sreerama was apparently unable to tell the Mayor about it. I’d still like to hear Sreerama say in his own words why he did what he did, but it seems unlikely that will ever happen. I do hope there are no more shoes to drop. Whatever the case, this was the right outcome. Federal agents quietly arrested Jason Posey, a former congressional aide who’d been wanted for two months on charges that he helped ex-U.S. Rep. Steve Stockman carry out a criminal conspiracy to bilk millionaire donors, violate elections laws, and illegally divert hundreds of thousands in campaign cash. Posey and Stockman were both indicted March 28 on 28 federal charges including mail and wire fraud, conspiracy, making false statements to the Federal Elections Commission, excessive campaign contributions and money laundering. Stockman was arrested at the airport on his way out of the country by federal agents. But it appears government agents spent weeks negotiating with Posey – who’d been living abroad in the Middle East for more than two years. Posey voluntarily returned to Houston to turn himself in on May 23, according to Philip Hilder, a Houston lawyer appointed to represent Posey. “He voluntarily came back to the United States to face the allegations levied against him,” said Hilder, who is known for his work representing whistle-blowers and other witnesses and defendants in high-profile white-collar crime cases, including Enron. In his recent federal court appearance, Posey pleaded not guilty to all 28 charges, according to federal court records. Stockman also pleaded not guilty. Another former Stockman aide, Thomas Dodd, pleaded guilty in March to two related conspiracy charges and has agreed to cooperate with prosecutors. But in indictments, prosecutors describe Posey as Stockman’s primary accomplice . State and county business filings show that Posey set up some of the companies that federal prosecutors say were used to divert campaign contributions through suburban Houston post office boxes and an array of bank accounts. See here for the background. As noted in that earlier post, Posey has been a close associate of Stockman’s for a long time. I can’t wait for this trial to get underway. Cornyn was in serious contention to replace ousted FBI director James Comey, setting off a scramble and speculation around the state over who might succeed him in the U.S. Senate. See here and here for the background. I can’t say this comes as a surprise. In a different time it might have made sense, but given everything that’s going on now, the only winning move is not to play. It would have been nice to have had more time to indulge in wild speculation about who might get appointed and who might run for that seat, but all good things must come to an end. RG Ratcliffe has more. State Sen. Carlos Uresti, accused of misleading a former client who invested in a company in which Uresti has a financial stake, was indicted by a federal grand jury on 11 charges over his involvement in the alleged investment Ponzi scheme — in addition to a separate indictment alleging bribery. In the first indictment, the federal grand jury charged Uresti, a San Antonio Democrat, with one count of conspiracy to commit wire fraud and one count of conspiracy to commit money laundering. The indictment also charges Uresti with five substantive counts of wire fraud; two counts of securities fraud; one count of engaging in monetary transactions with property derived from specified unlawful activity; and one count of being an unregistered securities broker. A separate indictment centered on a contract to provide medical services to a correctional facility in West Texas. That indictment alleges that a colleague of Uresti’s, Vernon C. Farthing III, paid Uresti $10,000 per month as a marketing consultant and that half of the money was given to a Reeves County official to win over his vote to award the contract to Farthing’s company — the culmination of a 10-year scheme involving bribery and money laundering. A lengthy investigation published by the Express-News in August first detailed Uresti’s involvement in the company and fraud allegations it faces. Three months later, Uresti coasted to re-election, winning his San Antonio seat with 56 percent of the vote against Republican and Libertarian challengers. Uresti is among the Legislature’s most powerful Democrats. He is vice chair of the Health and Human Services committee and sits on three other high-profile committees: Finance, Education and Veteran Affairs & Border Security. FourWinds’ purported intent was to buy sand and sell it at a markup to oil and gas companies, but some investors have accused the company’s leadership of misrepresenting its financial health and spending their money on frivolous, personal expenses. It now faces millions of dollars in claims from investors and other companies. Denise Cantu, whom Uresti represented in a wrongful-death case, said she lost most of the $900,000 she invested in the now-bankrupt company in 2014 at the suggestion of Uresti, according to the Express-News. She has said she was not initially aware that Uresti would get a piece of her investment, though Uresti has suggested otherwise. With allegations of serious financial mismanagement detailed in bankruptcy court, the FBI last year opened an investigation into FourWinds, the Express-News reported. In August, Uresti told the paper that he was a “witness” in that investigation but not its target. See here for some background, and read the rest fore more. As with Ken Paxton, I will not call for Sen. Uresti to resign at this time, as they are both still innocent in the eyes of the law. Unlike Paxton, Uresti is not on the ballot again until 2020, so he (in theory, at least) has the time to dispose of this before he has to face the voters again. That’s assuming he gets acquitted or the charges get dropped. As with other legislators who face legal troubles, I’d encourage Sen. Uresti to prioritize getting his personal affairs in order by stepping down from his office, after the session is over. Whether he does or he doesn’t, there are several State Reps in Bexar County who I think would do a fine job in that office. I wish him luck, but I also wish he’ll listen to what I’m saying. The Current has more. There is a growing obstacle standing in the way of Sen. John Cornyn, R-Texas, becoming the next director of the FBI — his own Republican colleagues. Led by Majority Leader Mitch McConnell, R-Kentucky, a chorus of GOP senators has signaled that they would prefer President Trump to nominate somebody other than the second-ranking ­Republican senator, despite his status as a well-liked and influential figure on Capitol Hill. Their message: It’s nothing personal. But if Trump were to nominate Cornyn, who has shown interest in the job, it would trigger a raft of consequences that could be detrimental to McConnell and the broader GOP agenda. “My own selfish thing would be to say, ‘Oh, he’s a terrible person — don’t do it,’ ” Tillis quipped. Among other concerns, some fear that nominating a top political leader would roil a confirmation process in which Democrats are already emboldened to cry foul over former director James B. Comey’s abrupt firing. Since Trump’s inauguration, Cornyn has been a loyal defender of the president — including on the Senate Judiciary and Intelligence committees, which have been looking at the Trump campaign’s ties to Russia. So anyway, I get where the Republicans are coming from on this, and that’s before factoring into the equation the possibility, no matter how slim, that a Democrat could win the seat in a special election. There’s no upside here. If I were advising someone with a role in this, I’d say just elevate the top deputy director, who is now serving as the acting director, and be done with it. Which Trump won’t do because the guy won’t swear personal loyalty to the toddler king, but that’s their problem. Have fun with it, fellas. U.S. Sen. John Cornyn is on the short list to succeed James Comey as FBI director, according to a White House official. Cornyn is one of about 11 contenders for the post, according to Fox News. He has strong relationships with members of his conference and would likely sail through confirmation. 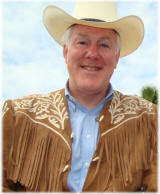 Prior to his election to the Senate in 2002, Cornyn served as Texas attorney general, a Texas Supreme Court justice and a local judge. In the immediate aftermath of Comey’s firing, Cornyn did not take the opportunity to lobby for the position. “I’m happy serving my state and my country,” he told reporters off the Senate floor. But that comment came Wednesday, which was a lifetime ago during a dramatic week in Washington. A Senate vacancy could make for dramatic change in the state’s political pecking order. Gov. Greg Abbott would be tasked with a short-term appointment, but several months later the state would hold a special election to finish the duration of the term, which ends in 2021. When Lloyd Bentsen resigned from the U.S. Senate to become Treasury Secretary in 1993, Gov. Ann Richards appointed former U.S. Rep. Bob Krueger, a Democrat, to hold the post until a special election could be held. That was a noisy affair with two dozen candidates — including a couple of sitting members of Congress at the time — that ended with Texas Treasurer Kay Bailey Hutchison beating Krueger in the special election runoff. She ran successfully for a full term the next year and remained in the U.S. Senate until the end of 2012. As the story notes, the odds of this happening are quite slim, so anything we say here is highly speculative. But hey, isn’t that what a blog is for? The main thing I would note is the timing of a special election to complete Cornyn’s unexpired term. The special election in 1993 to succeed Lloyd Bentsen took place on May 1, 1993, which was the first uniform election date available after Bentsen resigned and Krueger was appointed. That means a special election to replace Cornyn – again, in the unlikely event this comes to pass – would then be in November of this year, with that person serving through 2020. The good news here is that it means that an elected official who isn’t subject to a resign-to-run law would be able to run for this seat without having to give up the seat they currently hold. I’m sure if we put our heads together, we can think of a sitting member of Congress who might be enticed to jump into such a race. Two other points to note. One is that, at least according to the story, Abbott is not allowed to appoint himself. It’s not clear to me why that is so – the story references “precedent based in common law, not statute”, so I presume there was a lawsuit or maybe an AG opinion in there somewhere. I know I recall people urging Ann Richards to appoint herself in 1993, but it may be the case that she was not allowed to due to the same precedent. Someone with a more extensive understanding of Texas history will need to clarify here. Point two is that if Abbott names a sitting Republican officeholder, then there would of course be a special election to replace that person, either (most likely) this November for a member of Congress or next year for a statewide official. And yes, Abbott could appoint Dan Patrick, perhaps to take him out of any possible challenge to himself in 2018. Keep that in mind if your first instinct is to cheer a possible Cornyn departure. Like I said, all highly speculative, so have fun batting this around but don’t take any of it too seriously just yet. Former U.S. Rep. Steve Stockman’s trial on federal corruption charges has been pushed back to next year. Stockman’s lawyer had requested the delay last week, asking the judge to put off the trial until “at least January 2018.” The motion to push back the trial had been unopposed. See here for the background. The request is fair enough, as lawyer Kuniansky is new to the case. I think Stockman is guilty, guilty, guilty, but that’s my opinion and the man deserves a fair trial just like anyone else. Let his attorney get up to speed, we can wait till January. Former U.S. Rep. Steve Stockman is set to go to trial June 5 on federal corruption charges. Stockman, a Houston-area Republican, has pleaded not guilty to charges of funneling hundreds of thousands of dollars in charitable donations to himself and his congressional campaign. He was arraigned Monday. The trial is expected to last one month, according to a scheduling order filed Tuesday. Pretrial motions are due May 12 and responses two weeks later. Stockman has cycled through a number of lawyers since his arrest last month. On Thursday, he was given a court-appointed attorney, Richard Kuniansky. See here for the previous update. How long this actually takes will depend in large part on what happens with the pretrial motions. The Tom DeLay and Ken Paxton sagas were and are as drawn out as they were because the indictments were challenged in the pretrial hearing, and the trial judges’ rulings upholding them were then appealed. I don’t think that will be the case here – there’s nothing so far to suggest that the charges themselves are in any way a stretch – but you never know. If nothing interesting comes out of that, then expect the trial itself to be on the schedule suggested by the story. Standing tall, with his hands hanging loosely at his sides, former U.S. Congressman Steve Stockman told a federal magistrate in Houston Monday he understood the criminal charges against him and pleaded not guilty to theft of about $800,000 in charitable donations intended for conservative organizations and associated charges. Upon Stockman’s request, U.S. Magistrate Judge Nancy Johnson had appointed him a lawyer last week to be paid for by the government until he can land a job. Stockman said he needed to dismiss his hand-picked lawyers because he can’t work while under indictment: His job requires him to travel overseas, which is not permitted under his bond. Stockman was indicted on 28 federal corruption charges. He said publicly that he expects to be fully vindicated. He is free on bond. Robert J. Heberle, an attorney from the public integrity division of the Justice Department, told the magistrate Monday he anticipated the trial would last one month and as many as 40 to 50 witnesses could be called for the prosecution. Johnson encouraged the government to whittle down the list. Stockman’s trial is set for June 5 before Chief U.S. District Judge Lee H. Rosenthal for the Southern District of Texas. Stockman’s new attorney, Richard B. Kuniansky, who defended former accountant Mark Kuhrt in the massive Stanford prosecution several years ago, said after Stockman’s plea that he felt news reports had been unfair in their portrayal of the former lawmaker. See here for the background, and here for the pre-hearing version of the story. All I have to add at this point is that I too look forward to the truth coming out. Former Congressman Steve Stockman told a federal magistrate Wednesday he can’t afford to pay for a lawyer to represent him against allegations he helped steal about $800,000 in charitable donations intended for conservative organizations. U.S. Magistrate Judge Nancy Johnson agreed to appoint a lawyer for him and postponed a hearing on his case until Friday. Stockman told the judge he needed to dismiss his hand-picked lawyers from the elite firm of Smyser Kaplan & Veselka and ideally he wanted the court to re-appoint them to the case at the government’s expense. She said she’d consider the request. He confirmed for the judge details on a disclosure form he’d filled out in front of a roomful of defendants in shackles and jail uniforms, indicating he owned a home, a rental property and two vans. “But you have no assets?” Johnson asked. “This is a four-year case,” the former lawmaker said, indicating he’d been paying for legal support on these matters for a long time. See here and here for some background. I would have asked him “what, you can’t use some of that money you stole to pay your lawyers?”, which is no doubt why I’m not a US Magistrate. Well, that and the lack of a law degree. But seriously, this guy. I don’t know why anyone believes a word he says. In the meantime, feast on this. The fact that the former congressman is facing multiple felony counts made national news. But one of the most interesting details in the 46-page Stockman indictment escaped notice: The suggestion that Richard Uihlein, one of the country’s biggest conservative political donors, personally wrote a check for $450,571.65 to mail a fake newspaper called The Conservative News to voters across Texas. The paper, which prosecutors say was part of a Stockman-run, secretly funded operation intended to take down Cornyn, included the dubious claims that Cornyn wanted to ban veterans from having guns, had voted to fund abortion, and was secretly working with Democrats to grant amnesty to illegal immigrants. Mailing a fake newspaper is not a crime, nor is secretly funding a candidate to do so. Thanks to a series of court decisions now known collectively as Citizens United, billionaires are allowed to fund anonymous attacks as long as they abide by an arcane set of tax and campaign finance rules. And Uihlein, who has given more than $43 million to conservative candidates and super PACs since 2011, is a particularly big fish. He is the chief executive of a family-owned shipping and packing materials company that’s confusingly named “Uline,” which Forbes estimated was worth at least $700 million in 2014. And through his private foundation, Uihlein has given millions more to nonprofits that push a conservative policy agenda and train a new generation of political operatives to sell it. It’s not clear what, if anything, Uihlein knew about Stockman’s fake-news scheme. He is described as a victim in the Stockman case: Prosecutors say Stockman and his staffers fraudulently diverted hundreds of thousands of dollars Uihlein had donated. Uihlein’s funding of the fake-news operation would likely never have become public had Stockman not gotten tangled up with an FBI investigation — meaning this episode exposes a side of the U.S. campaign finance system we don’t often get to see. One of the biggest unanswered questions in the Stockman case is how he apparently fooled Uihlein twice. Prosecutors say Posey told Uihlein’s accountant in a May 13, 2014, email ― sent two months after Stockman lost the election ― that some of the money that was supposed to be used for Freedom House had gone to delivering medical supplies to “third world” countries. The email, which also included an attached tax exemption letter for Life Without Limits, allegedly constituted wire fraud ― though prosecutors don’t spell out exactly why. What the documents don’t clear up is why Uihlein would fund Stockman’s direct mail campaign a year after his donation for Freedom House ― especially since it seemed like so little progress had been made on that first project. “You raise a good question, but it’s not one I can talk about today,” said Dane C. Ball, a Houston lawyer defending Stockman. An answer may be in the offing if the case goes to trial. If that happens, it’s likely Uihlein would be called to testify, said D.C. campaign finance lawyer Brett Kappel. “Get your popcorn,” he quipped. There’s not enough popcorn in the world. Also, I am unreasonably amused by the fact that Uline’s director of legal affairs is named “Larry Barry”. I cannot wait for this trial to begin. And here the troubles begin. Acting U.S. Attorney Abe Martinez in Houston called the indictment “a very significant case” for the office in a brief statement. “The indictment returned by the grand jury today is a significant case alleging serious violations involving use of official positions for personal gain. Violations of the public trust will not be tolerated,” he said. Federal investigators say in the indictment that between from May 2010 and October 2014, Stockman brought in about $1.25 million in donations based on false pretenses. He then diverted nearly $285,000 donated to charitable causes to pay for his and Dodd’s personal expenses. See here, here, and here for the background. Just a thought here, but defending oneself against these kinds of charges is an expensive prospect, and there were questions about how exactly Stockman was supporting himself back when he was in office. I don’t know how he’s going to pay for his lawyers, and I kind of doubt he’s going to be able to raise the money. We’ll see how it goes. The Trib has more.